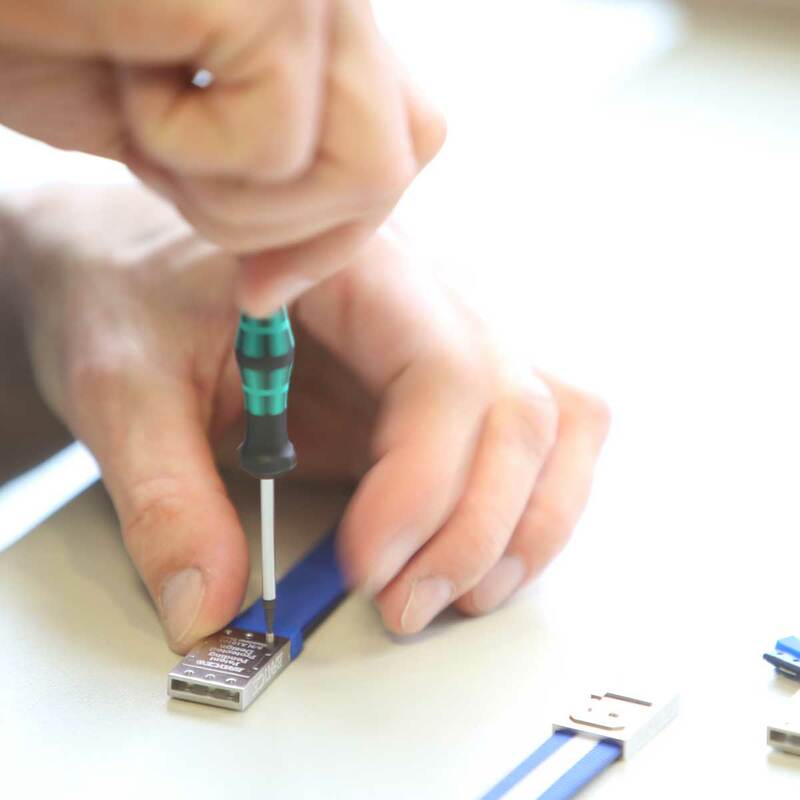 You just can’t get enough of your team? 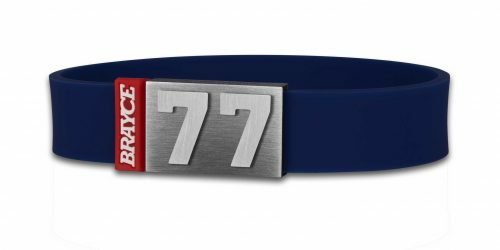 Show the passion for your hockey team with the original jersey bracelet (black and white like the LA Kings) by BRAYCE® . The jersey bracelet is an authentic und highly customizable wristband with your player number (0-99). 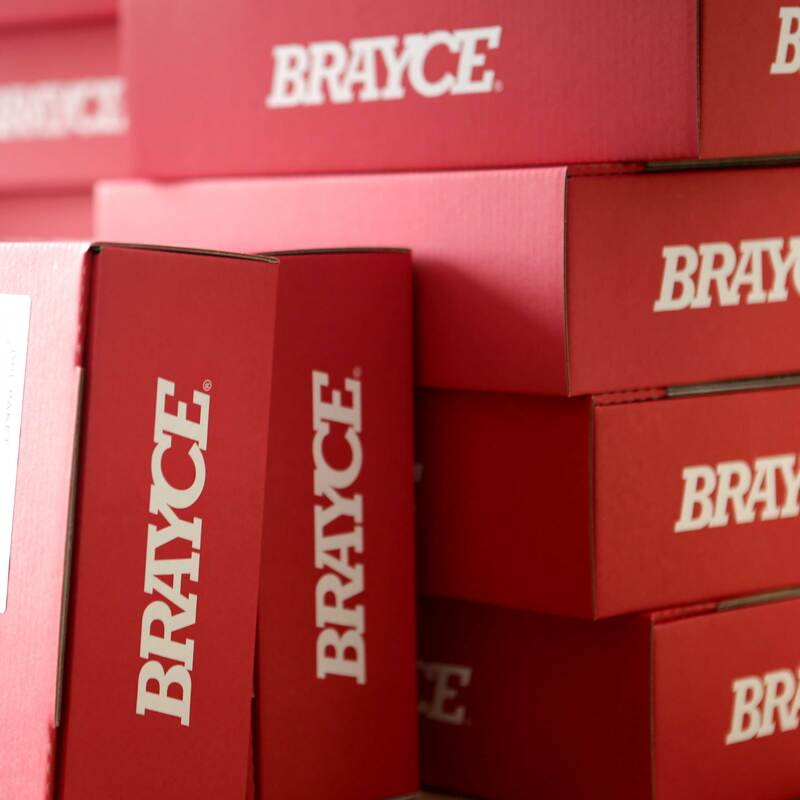 By producing every single handmade bracelet, we at BRAYCE® accompany the love of your sport, the passion for your club and the enthusiasm for your personal sports hero. 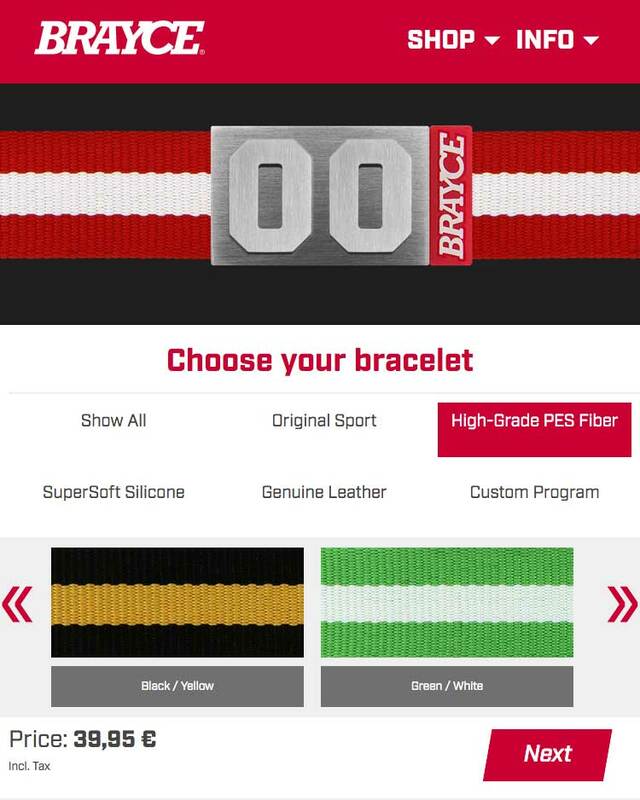 Thanks to the High-Grade PES-Fiber bracelet in you colors you become part of your team. 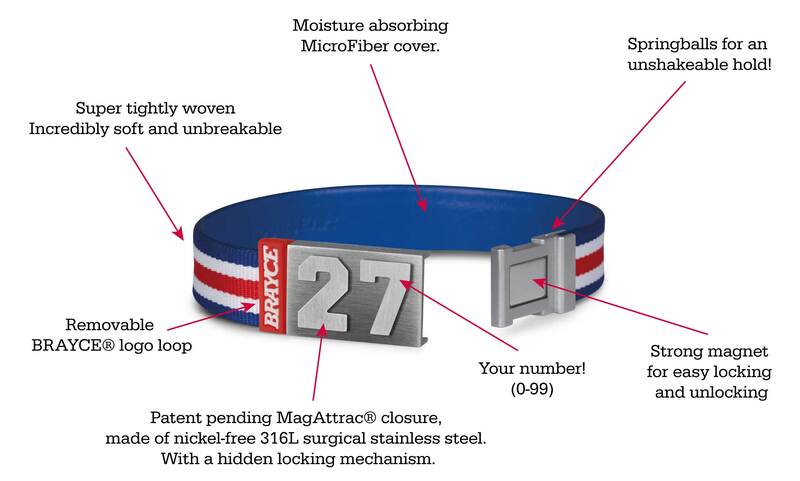 The fan bracelet impresses with a freely selectable player number between 0 and 99 on a patented closure. The LA Kings play their home games at the Staples Center. After the team had very little success in the first 20 years of its existence, Wayne Gretzky’s engagement on August 9,1988 was probably the biggest transfer coup in NHL history. 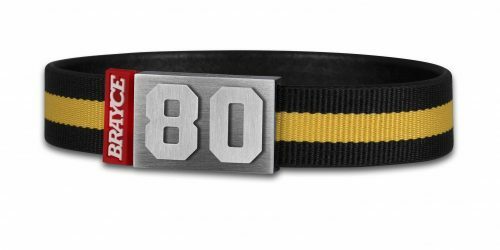 With Wayne Gretzky #99, the LA Kings had its first successful time at the beginning of the 1990s and only missed out on winning the prestigious Stanley Cup in the 1992/93 season in the final. 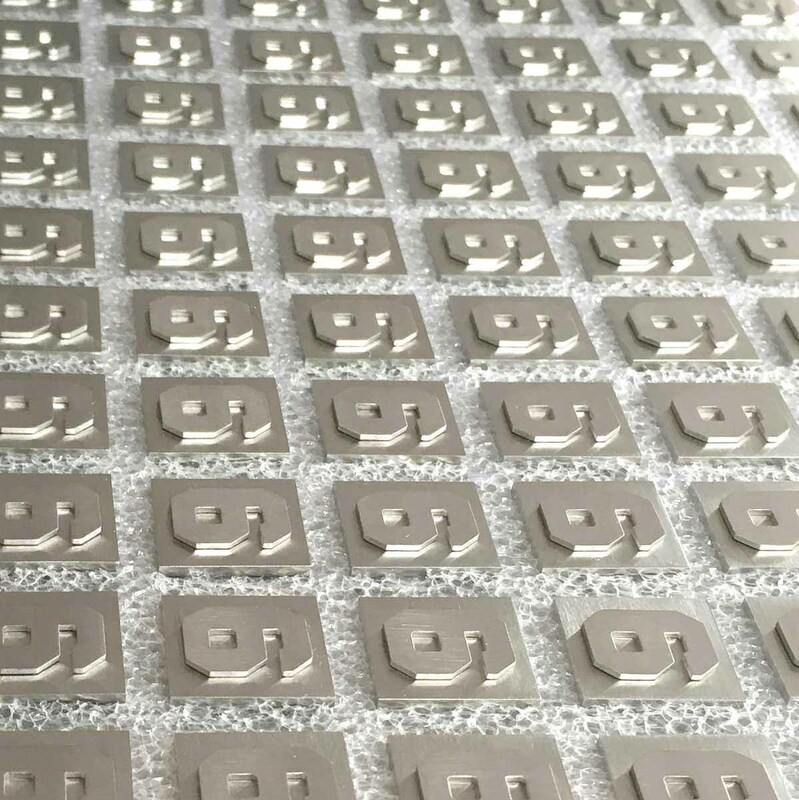 After the team was only able to reach the play-offs four times in the following 15 years, a sporting upswing followed at the beginning of 2010, which was crowned with the first win of the Stanley Cup in the 2011/12 season. This success was repeated in 2014 by the LA Kings. 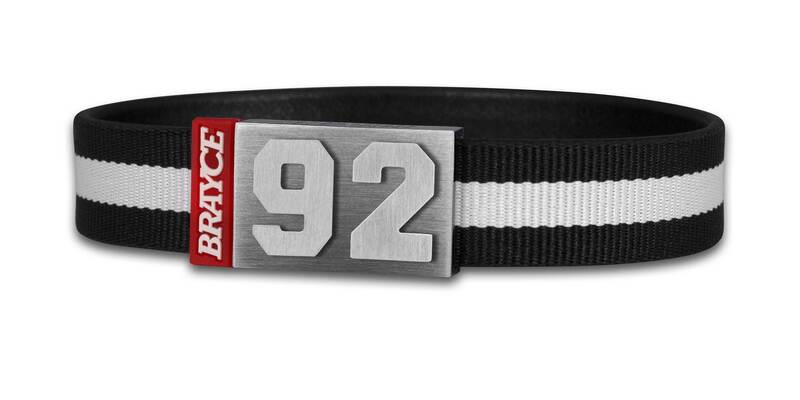 Customize your jersey bracelet black and white with your favorite player number (0-99)! Dustin Brown #23, Drew Doughty #8, Wayne Gretzky #99 (LA Kings legend) and Jonathan Quick #32- we got them all! 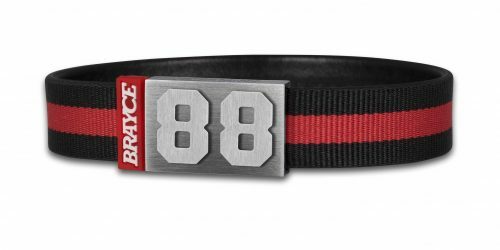 Next to our team colored bracelet (LA Kings colors), we at BRAYCE® also have an original sports collection. 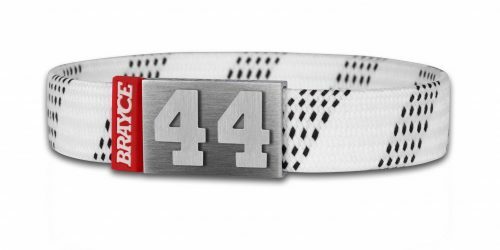 The perfect symbiosis between a maximum of wearing comfort and the ultimate authentic design is guaranteed by bracelets in puck or hockey lace (black/white) style.